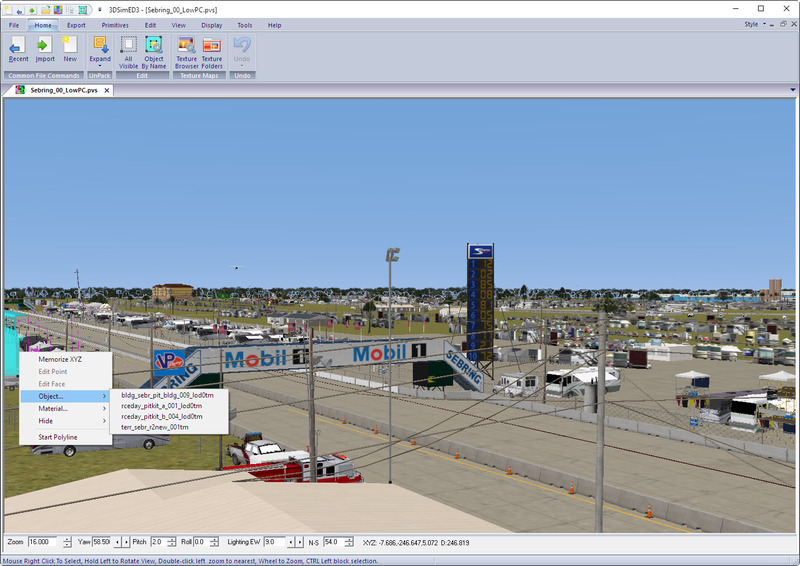 Version 3.1p 3DSimED and later can import models from F1 2018. 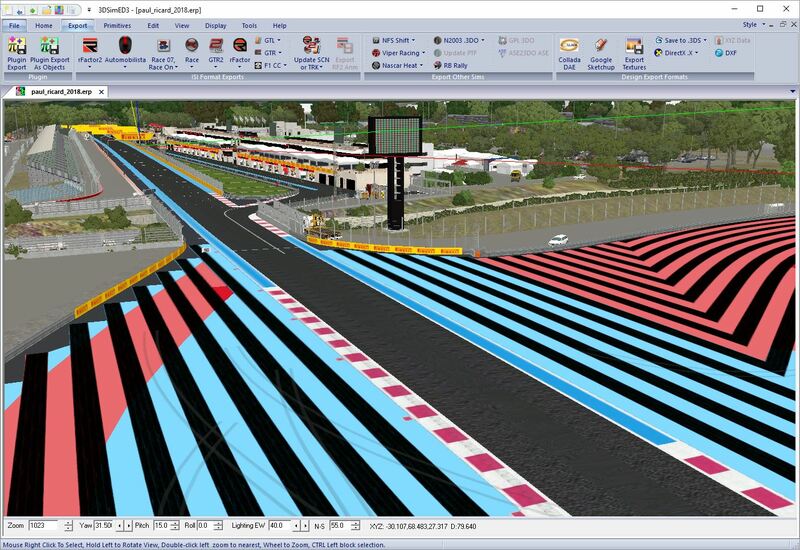 The plugin for F1-2018 can be found at 3DSimED3 download page. 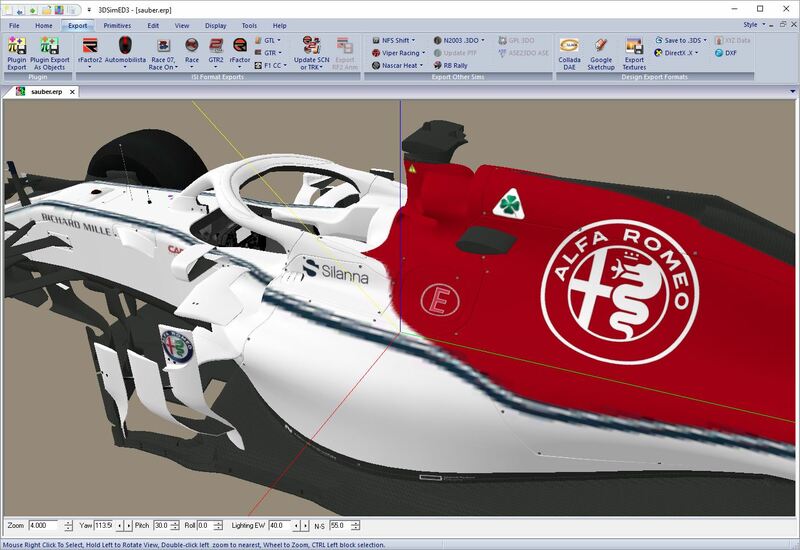 To import F1 2018 models F1-2018 (*.erp) must be selected as the import file type. Importing Cars. To import a car you must browse to your F1 2018 game and look for the f1_2018_vehicle_package folder within the asset_groups folder. Inside the f1_2018_vehicle_package folder there is the teams folder with all the cars, select the car, and then the wep folder. 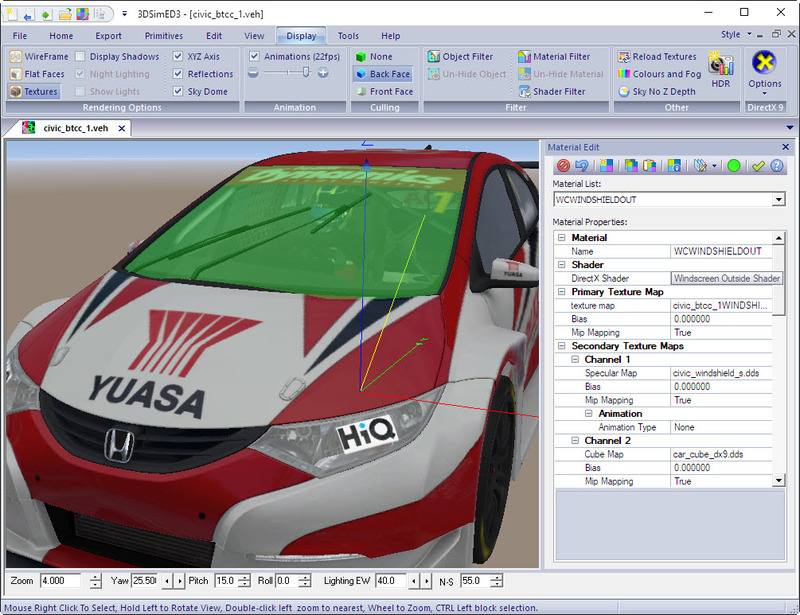 The wep folder should have the car’s erp file to select and import. 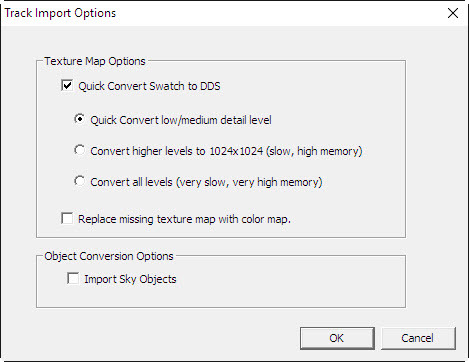 At present the format for some of the higher resolution bitmaps (mipmap files) is not understood so the quality will not be the same as in the game. Importing Tracks. Within the game’s asset_groups folder find the environment_package folder and then the tracks folder. Select the track and find the wep folder. For each track there are two erp to select from, one named <track_name>_2018.erp and the other named <track_name>_classic.erp, select one of those and the track should be imported. 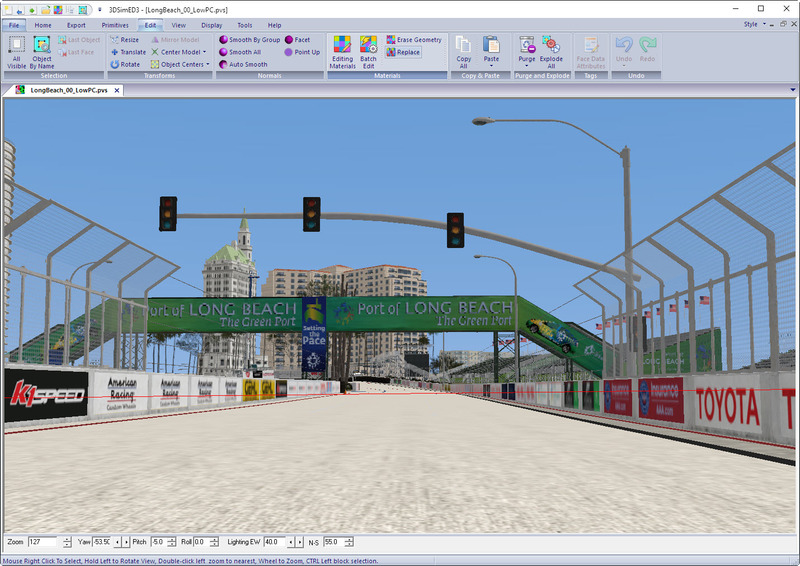 As for the cars, the mipmaps files are not completely understood so textures will not be the same quality as in the game.